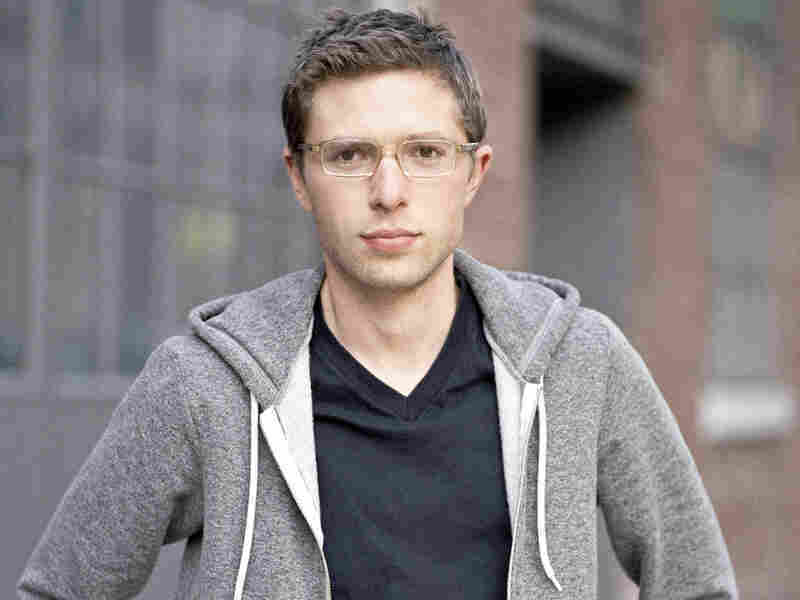 Jonah Lehrer: Fostering Creativity And Imagination In The Workplace Some companies are helping their employees become more creative and increasing their productivity, says science writer Jonah Lehrer in his new book, Imagine. Beethoven would try as many as 70 different versions of a musical phrase before settling on the right one. But other great ideas seem to come out of the blue. Bob Dylan, for example, came up with the lyrics to the chorus for "Like a Rolling Stone" soon after telling his manager that he was creatively exhausted and ready to bail from the music industry. After going to an isolated cabin, Dylan got an uncontrollable urge to write and spilled out his thoughts in dozens of pages — including the lyrics to the iconic song. Scientists are now learning more about how such moments occur, says science writer Jonah Lehrer. 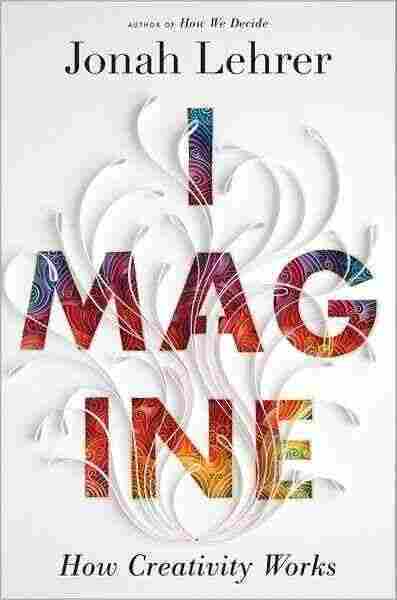 His new book, Imagine: How Creativity Works, explores where innovative thoughts originate and explains how some companies are now working to create environments where they're more likely to occur. "Moments of insight are a very-well studied psychological phenomenon with two defining features," Lehrer tells Fresh Air's Dave Davies. "The answer comes out of the blue – when we least expect it. ... [And] as soon as the answer arrives we know this is the answer we've been looking for. ... The answer comes attached with a feeling of certainty, it feels like a revelation. These are the two defining features of a moment of insight, and they do seem to play a big role in creativity." "They have an incredible track record of [innovation] — they've got almost 1 to 1 employee: product ratios ... And I think one of the things they discovered early on is giving people control of their own intention," says Lehrer. At 3M, every engineer has an hour a day to do whatever they want: whether that's work on a side project or simply tinker with a hobby. Jonah Lehrer has written two books about the brain: How We Decide and Proust Was a Neuroscientist, in which he argues that Marcel Proust was decades ahead of science when it comes to understanding how the brain works. "It doesn't have to be directly relevant, they don't have to justify it to their boss — all they have to do is promise to share it with their colleagues," says Lehrer. "This sends an important message early on: we've hired you, we think you're smart, we trust you, we trust you to find solutions, you manage your time in your own way." By giving their engineers and product managers a time to relax, 3M's management is actually fostering creativity, says Lehrer. "They trust their employees to manage their own intentions and I think when you look at the research on creativity that's a good thing," he says. "When you look at where insights come from, they come from where we least expect them. They only arrive after we stop looking at them. If you're an engineer working on a problem and you're stumped by your technical problem, chugging caffeine at your desk and chaining yourself to your computer, you're going to be really frustrated. You're going to waste lots of time. You may look productive, but you're actually wasting time. Instead, at that moment, you should go for a walk. You should play some ping-pong. You should find a way to relax." "In many cases, when you're trying to solve a technical problem, our assumption is that we should give it to the guy who knows the most – the ultimate insider, the expert in that field. But what various studies and real-world studies have show, is that it's often the outsiders who do better: people on the fringes of that field — people who know enough to understand the question but don't know enough that they're going to run into the same stumbling blocks as the people on the inside who have already tried to solve it." "It would be wonderful if the recipe for all kinds of creativity was to take showers and play ping-pong and go on vacation and go for walks on the beach, but when you really talk to people in the creative business, they want to tell their romantic stories about the epiphanies but then if you push them, they say even that epiphany had to go through lots of edits on it and iterations and lots of hard work after we have the big idea. And that's a big part of the creative process too, and it is not as fun. In fact, there's evidence that it makes us melancholy and a little bit depressed. But it's a crucial part in creating something interesting and worthwhile. If creativity were always easy or about these blinding flashes, Picasso would not be so famous." "One of the surprising things that's emerged from the study of moods in recent moods is that putting them in a bad mood — making them a little bit sad or melancholy — comes with some cognitive benefits. ... So sadness, although it is not fun and is not pleasant, it does sharpen the mind a little bit. And one of the long-standing mysteries in the field of creativity is this correlation — and this was first identified by Kay Redfield Jamison and others — is people suffering from various kinds of depression and creative output. People who are successful creators — especially writers — are anywhere between 8 and 40 times more likely to suffer from bipolar depression than the general public. And no one's known what to make of this. It's tough to associate creativity with mental illness because obviously if you're very ill, it gets in the way. ... But one of the theories now is that the terrible swings of the mental illness – of bipolar depression – you get these manic highs, these euphorias, where the ideas just pour out of you. And you need to write them down. That's followed by this dismal low period when maybe you're a better editor. Maybe it's easier for you to focus and refine those epiphanies into a perfect form. ... The thinking is maybe the correlation exists because the swings of mental illness echo the natural swings of the creative process." "For Yo-Yo, it's about learning how to relax. He told me this great story where before he goes out on stage, he often thinks about Julia Child. And at first, I was like, 'Why Julia Child?' And he tells this great story about Julia Child making a roast chicken and it looked beautiful and she was talking to the camera and the chicken would just fall off the plate, onto the floor. And he said, 'Did she make this look of horror? Did she scream? No, the smile never left her face. She picked up the chicken, dusted it off and just went on with the show.' And he said that's an inspiring story to think about when you're in the middle of performance, because you're going to make a mistake and your attitude has to be, 'I welcome that first mistake because now I'm free.'" One of the surprising things that's emerged from the study of moods in recent moods is that putting them in a bad mood — making them a little bit sad or melancholy — comes with some cognitive benefits. "[The school of thought was] different fields have different peak ages. If you're a physicist or a poet, your peak age of creativity is going to be pretty young – maybe in your late 20s or early 30s. If you're a biologist, it's going to be in your late 30s. If you're a historian, it may be in your late 40s. ... [The school of thought was also] after we peak at the age of 35, let's say — depending on the field — the imagination begins to fall apart. The memory declines with age, maybe the imagination was the same way. This is kind of a depressing idea. There's nothing you can do to stop this dismal, downward trend. But now the thinking is there's nothing inevitable about this loss, which is why some creative people can maintain their imaginative output for their entire career. Instead, the decline of creativity is what psychologists refer to as 'inculturation.' That as we get older, as we get tenure in a field, we become invested in the status quo. We develop habitual ways of thinking, routines, we develop customs in terms of how we solve problems. Those make our lives a little bit easier, they make it easier to apply for grants. They make our days a little more efficient but they also make it harder to think outside the box."